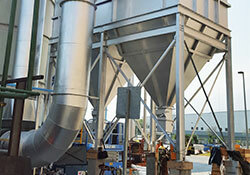 The Bags Dust Collector type DYNA FLO is a high efficiency equipment, it has sleeves and a clean pulse jet system. The particles entering to the baghouse through diffusers into the body part where the heavier particles are separated by gravity. 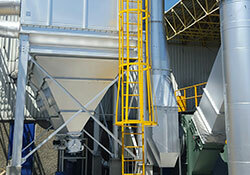 The sleeves are mounted on metal baskets to give mechanical support and filtration is outside-in. As the cartridge collectors, this type of collector is composed of a camera which has a trapezoidal hopper where the collected dusts are received, which are removed by a system of continuous discharge type air-lock to prevent the entry of false air, and subsequently discharged. 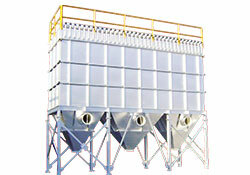 This type of collectors are used in industries where to collect the fine powder of high temperature is difficult to capture.